The conference provides educational workshops structured with extensive input from the top power industry associations. Electric Power 2015 will bring industry professionals face-to-face with experts presenting their knowledge and experiences to help you find solutions and provide practical high-value information you can immediately apply to your current job responsibilities. Fill out the information to the right and we'll email you a link to a FREE Exhibit Hall Pass that you may download and print. 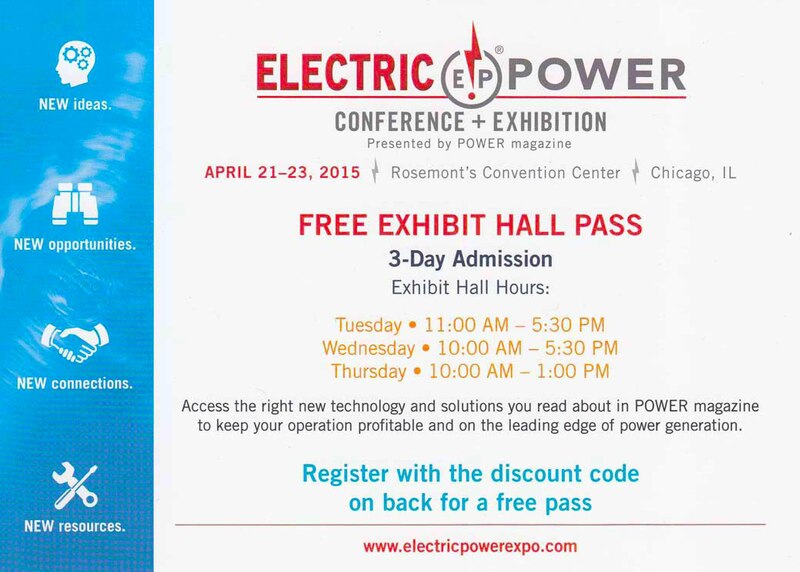 Please be our guest, and visit us at Booth #547.